After its debut in 2006, the fourth appearance of the work, The Malady of Death, what the artist Haegue Yang (b. 1971) calls a “stage reading”, was recently shown in Hong Kong at the Sunbeam Theatre, North Point, as part of the M+ Mobile: Live Art programme. The presentations also celebrates the publication of the first Chinese translation of the 1982 book with the same title, La Maladie de La Mort, by the renowned French writer Marguerite Duras’. This is the first time Haegue has published a translation in a language she does not speak; previously, she had initiated the translation of the book in her mother tongue, Korean, and staged a reading in Seoul in 2010. Concurrently, a solo show of hers is being exhibited at UCCA, Beijing. Together with the show at Leeum, Samsung Museum of Art in Seoul February 12 – May 10, 2015 has been Yang’s most active year in Asia. The Asian audience has finally had a chance to see this Seoul-born, Berlin-based artist’s works in person, without travelling afar or simply looking at the JPG images and Youtube videos. Haegue Yang / The Malady of Death (excerpt) from StudioHaegueYang on Vimeo. The reading was fully attended but most of the audience found it very difficult to follow through. This is the same as how the artist felt about reading the book — she didn’t understand it at all. “The language is very plain. And none of the events it is describing are spectacular. The characters in the book are anonymous. There is really nothing that challenges your intellect, but you still don’t understand what is going on, because we are so used to Hollywood plots in which the characters are introduced; the conflict is presented; there is a climax and then the resolution.” This book does not have any of that. There is description of pain, of frustration, of the present and the absent. The book is about the impossibility of love and, as is human nature, the way in which we always dream of achieving the impossible. Haegue loves that Duras’ never cared about literature but about writing, to avoid becoming a slave of categorization, and she is very precise with that. The project, including the publication and the reading, is the result of Haegue’s participation in M+’s Visitor programme, an artist-in-residency programme that invites artists over Hong Kong to carry out their research and learn about the institution, as well as the city. Haegue was very pleased to find that, compared with the residency programmes elsewhere in the world, M+ Visitor carefully avoided common bureaucracy and was specifically tailored to the artists’ needs and requests. Haegue came twice to Hong Kong as a visiting artist and later gave a presentation and talked with M+ about the project. Then, M+ decided to help Haegue accomplish the translation and publication of the book, followed by the careful selection of candidates for the stage reading. 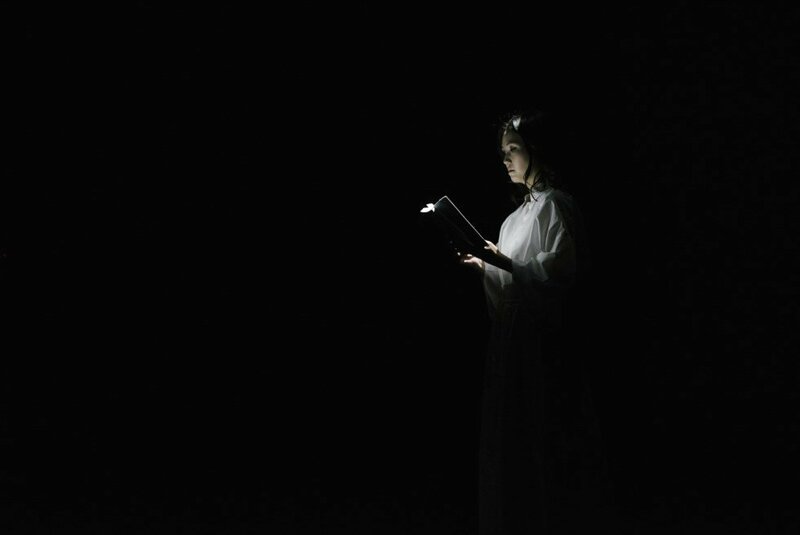 M+ published this edition on the occasion of two staged reading performances of the novella in Cantonese, The Malady of Death: Écrire et Lire, on 4 and 5 December at the Sunbeam Theatre in North Point. Haegue Yang received a BFA from Seoul National University, South Korea, in 1994 and an MFA from Städelschule Frankfurt am Main, Germany, in 1999. Her earlier works tell highly sensory, abstract narratives through large-scale installations composed of normally mundane electric items, such as venetian blinds, heaters, industrial fans, and spotlights. With each component activated—oscillating fans, glaring beams of light, a heater’s gust of hot air—Yang creates a choreographed environment for the senses. Her more recent works focus on performance making beyond a white cube space. 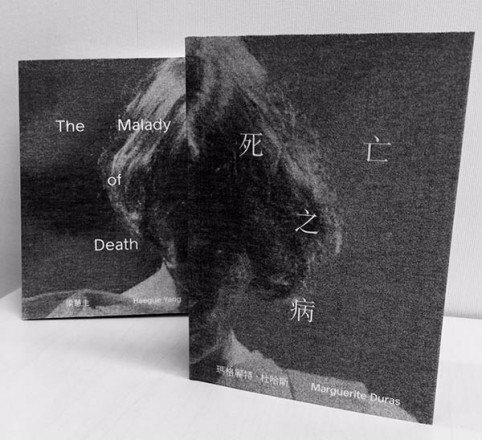 For our Mobile M+: Live Art commission, Yang has created the most recent version of her ongoing project The Malady of Death accompanied by a limited edition artist book. She represented Korea at the 53rd Venice Biennale in 2009 and participated in Documenta 13 in 2012. Her numerous awards include the Baloîse Prize from Art Basel in 2008 and the Cremer Prize from the Westfälisches Landesmuseum in Münster, Germany, in 2005. Yang currently lives and works in Seoul and Berlin. TSAO Yidi is a Hong Kong based curator and art writer. She is currently involved with the International Symposium on Electronic Arts 2016 as Chair of Artist Residency Programme. At the same time, she is also working on a master’s program in Curating Art and Media at City University of Hong Kong. She regularly contributes to regional art publications, including but not limited to, The Art Newspaper, Leap, radian-online, etc.